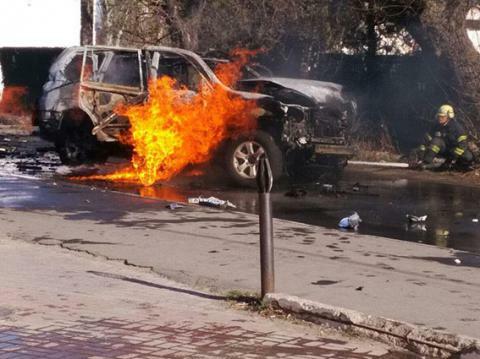 Car explosion in Mariupol city of Donetsk region in which SBU officer has died was qualified as a terrorist attack. This was reported by the press service of the Prosecutor’s Office of Donetsk region. SBU, Prosecutor’s Office, and National Police crime scene investigation teams are working at the site now. Law enforcers investigate the circumstances of the incident, question witnesses. Bomb disposal experts are trying to define the explosive device criminals used to blow the vehicle. Information on the incident is recorded in the Unified register of pre-trial investigations under Article 258 of the Criminal Code of Ukraine. Earlier it was reported that SBU officer died in a car explosion in Mariupol downtown. According to the police, the driver died at once.